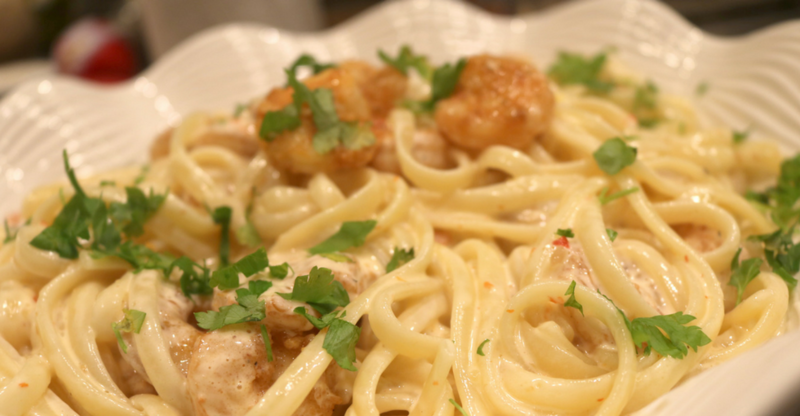 Have you ever had Bang Bang Shrimp? I LOVE IT! It is actually more like OBSESSED! 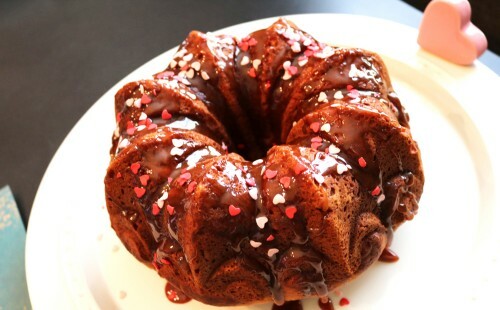 If you have you know why I love it so much, and if you have not well then you need to make this ASAP. The typical Bang Bang Shrimp is fried and then tossed in this amazing creamy sweet and spicy sauce. It is crispy and delicious but also pretty heavy, and well fried. 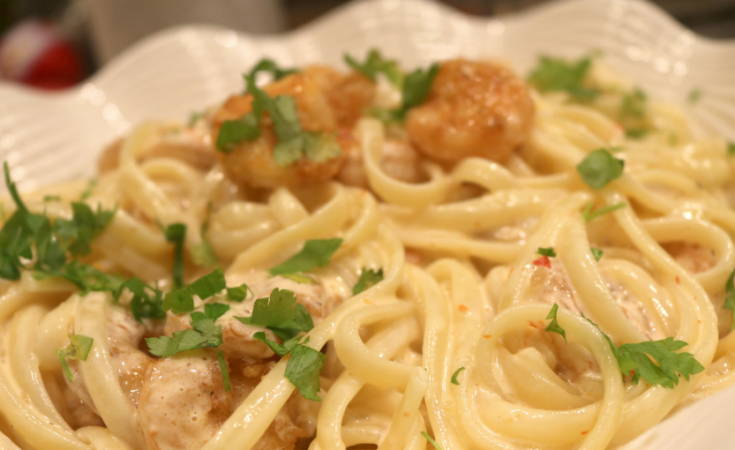 For this pasta I wanted to lighten it up a bit, but still give you everything that makes Bang Bang Shrimp so amazing. 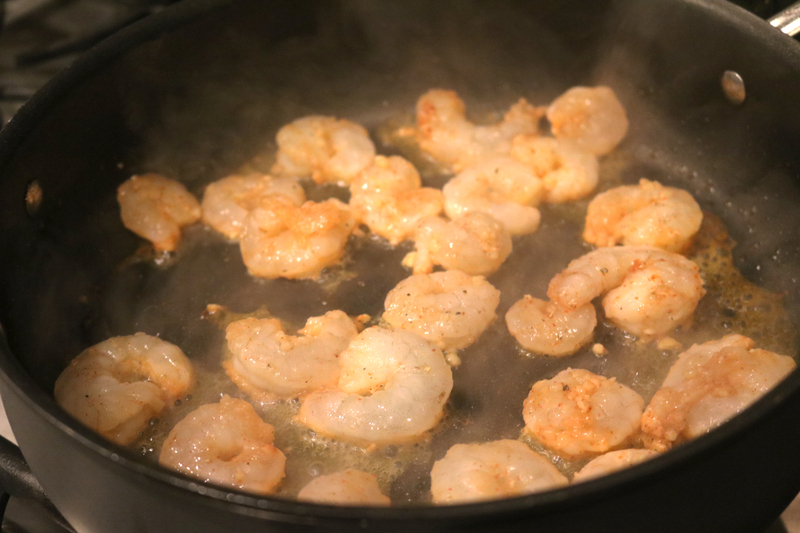 Instead of frying the shrimp I decided to pan sear them real quick and then toss them in a delicious sauce that makes this dish so, so good. 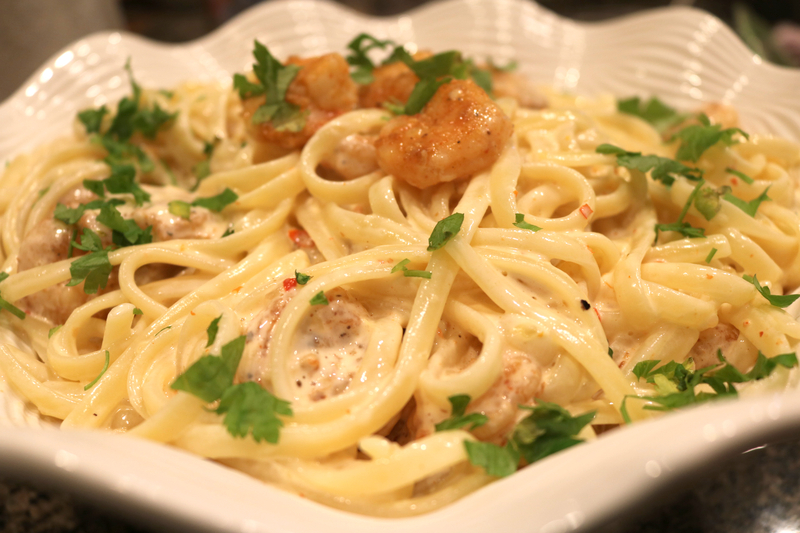 To make this pasta dish as good as the original it was about recreating the sauce. After several attempts, and many tweaks I finally found the right combo. 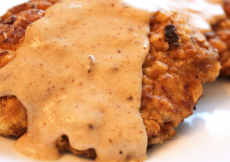 It is rich, creamy with just the right amount of heat and sweet. If you want it less spicy you can easily reduce the amount of chili sauce and also leave off the chili powder from the shrimp. I will tell you though a little heat is perfect in this dish. 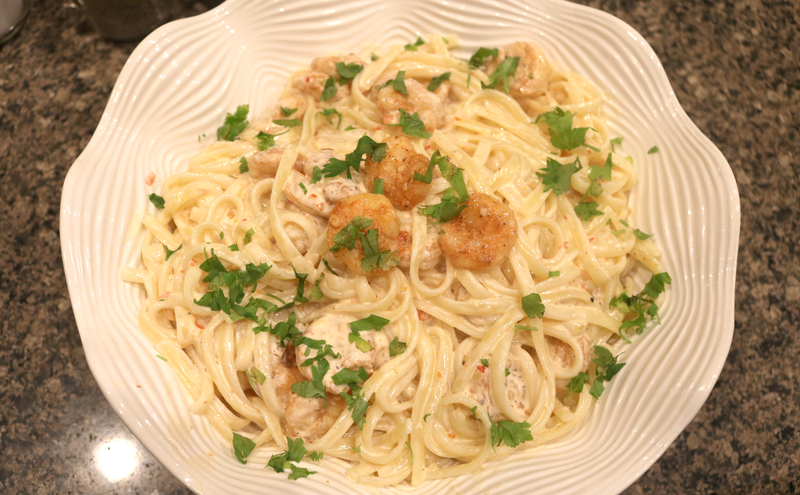 The sauce is thick enough that it coats the pasta and shrimp perfectly, but still thin enough that is it not too heavy. It is just so good. 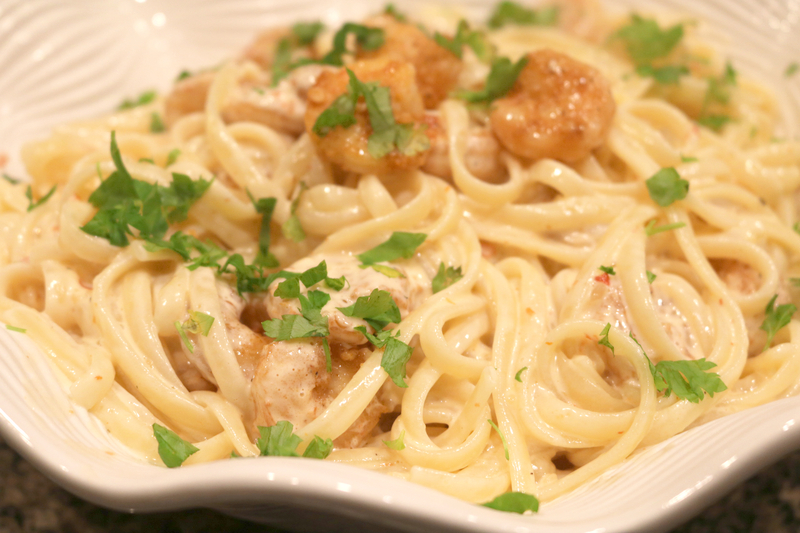 If you are not into shrimp don’t worry, you can easily make this dish with chicken. Cut the chicken into bite size pieces and then season and then cook as directed, just making sure to increase cook time as needed to ensure chicken is cooked through. 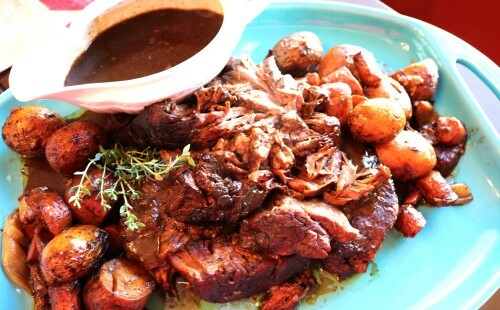 You could also serve this with grilled salmon or a perfectly grilled steak. The options really are endless. A fun new take on Bang Bang Shrimp without all the guilt. The shrimp are sautéed instead of fried but still loaded with tons of flavor making this pasta dish something to remember. This dish comes together super quick making a perfect dinner option for the busiest of weeks or the laziest of weekends. You can also make the sauce ahead of time and then warm it up when you toss it with the pasta in the pan. Just make sure you make this dish soon…very, very soon.